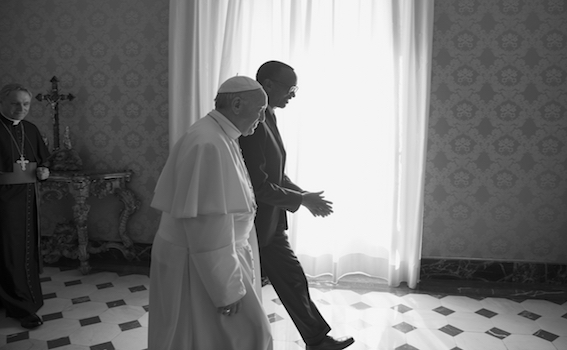 President Paul Kagame has closed a good deal with the Vatican for Rwanda. The Pontifex admitting that the Catholic Church was an accomplice to the genocide against the Tutsi in 1994 is a historic chapter closed. It is irreversible. “Being able to [acknowledge] for wrongs in [circumstances] like this is an act of courage and moral high standing typical Pontifex,” President Kagame tweeted after meeting Pope Francis on Monday. Rwanda says this step, allows us to build a stronger base for restoring harmony between Rwandans and the Catholic Church. Minister Mushikiwabo told us that, the Holy Father had invited President Kagame last month (February) for a dialogue. Taarifa cannot confirm whether the invitation came before or after the tense exchange between participants during the 2016 National Dialogue where participants debated what would be the fate of the Church’s role in the genocide.